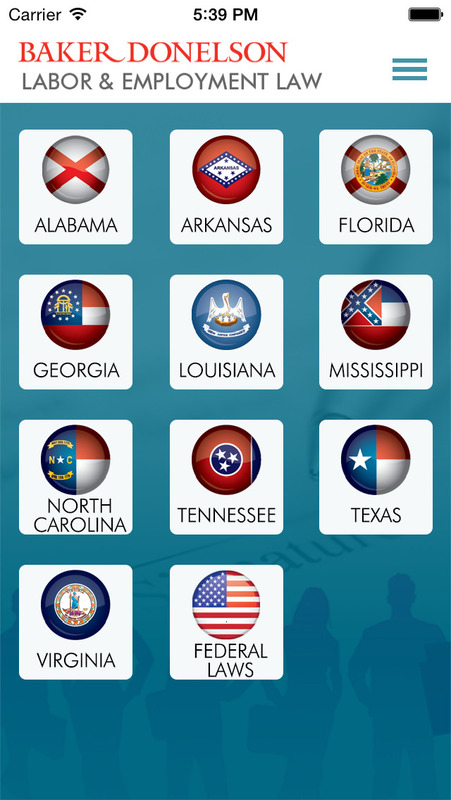 This app contains Quick & Easy Guides to the primary labor and employment laws of the identified states. We’ve also provided a summary of primary federal laws. When you have labor and employment needs, you want a firm that listens to you, understands your business, and services your entire company. 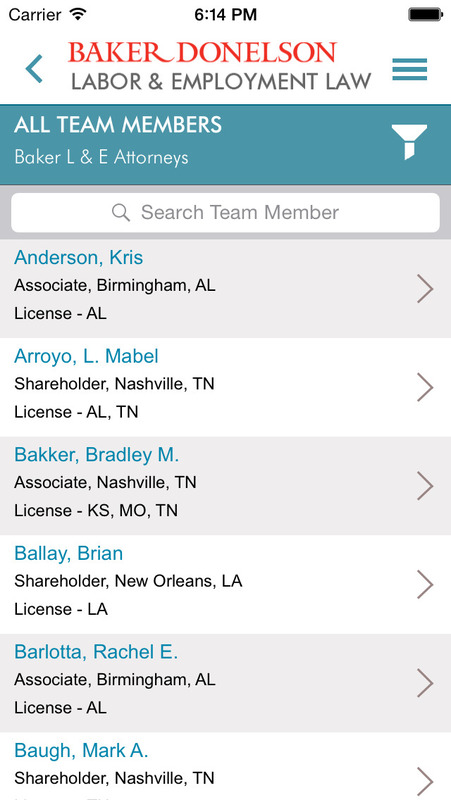 Baker Donelson’s labor and employment attorneys are dedicated to meeting your needs, and we understand that your business's operations and aspirations often reach beyond the borders of any one state. Our more than 70 labor and employment attorneys are licensed in a total of 14 states and have handled matters in 40 states and the District of Columbia. We offer litigation defense services for administrative and court proceedings at the federal and state level, advice on pre-litigation strategies to reduce legal risks, policy analysis and drafting, compliance audits, management training and labor negotiation.